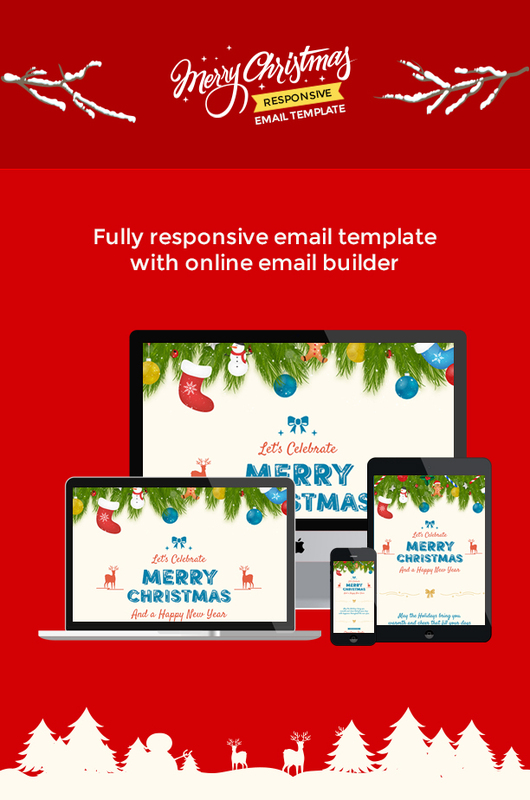 Christmas is a set of responsive multipurpose email templates with online email builder access to customize the templates as per your email campaign requirements. 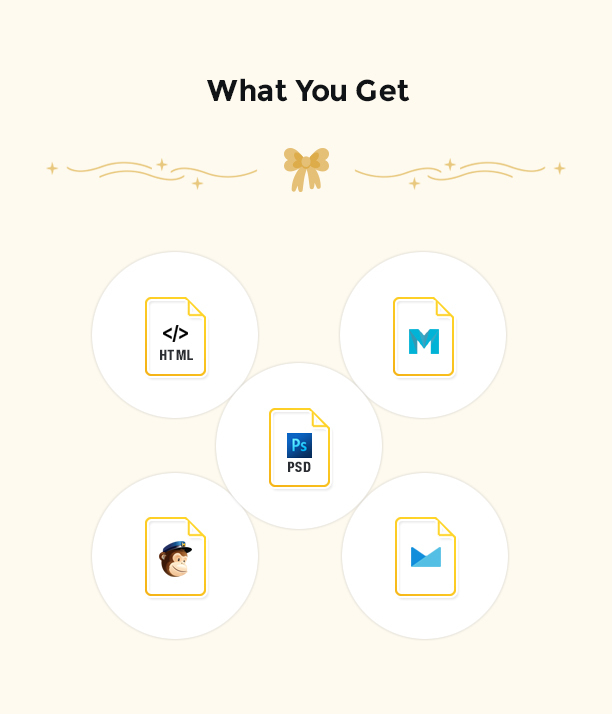 It includes creative and awesome email templates for various greetings and offers like christmas offers, christmas party or event invitation, wishing merry christmas, offers and products and happy holidays. 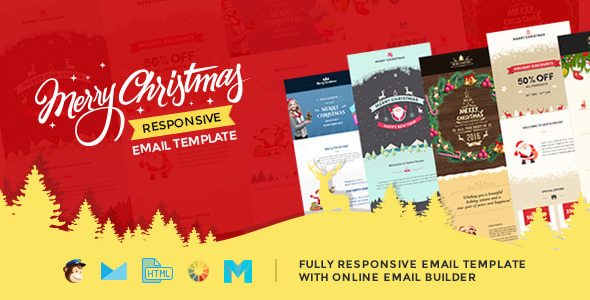 Christmas inclusions are Photoshop PSD files, Offline HTML / MailChimp / Campaign Monitor template files and free access to our feature rich and easy to use online email builder where you can customize your chosen email template and export it as HTML, MailChimp or Campaign Monitor compatible templates. 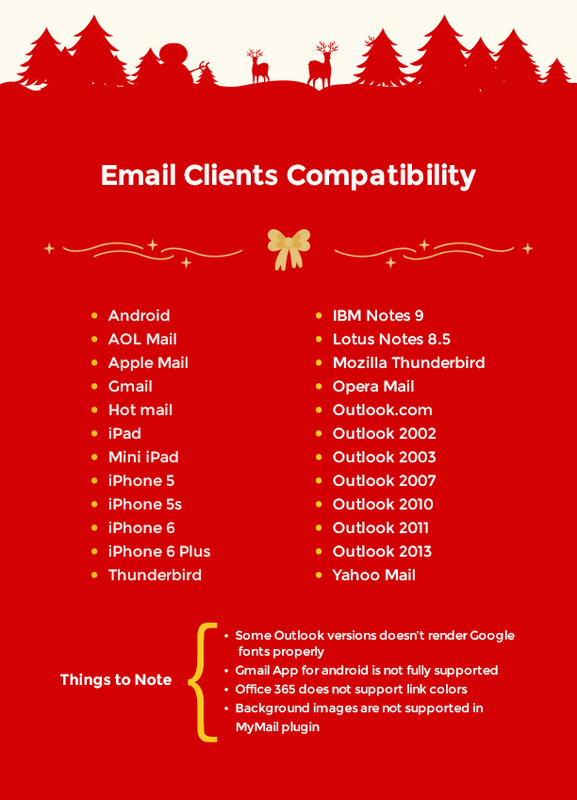 We have tested all email templates in Litmus test for most of the major email clients and the output was awesome.